In a bid to address concerns over educational performance of its sleepy 6th to 12th graders, The Seattle Public Schools board voted Wednesday night to shift school start times across the district. 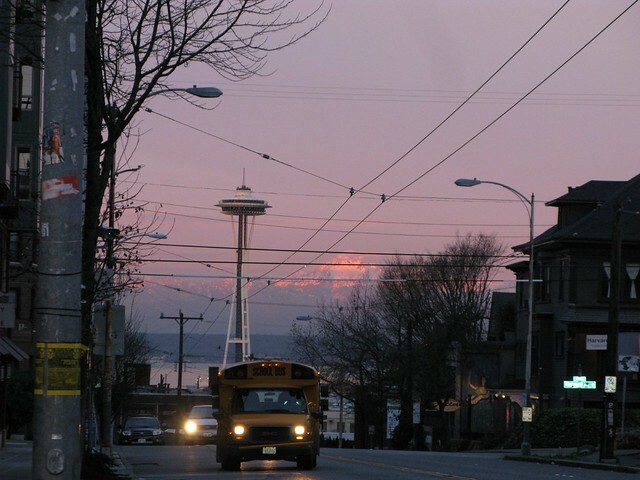 Seattle high schools will start classes later while most elementary schools will start the day earlier in a juggling act designed to keep the change from creating a significant increase in transportation costs. Included in the elementary school adjustments were some surgical changes after parental push-back — including concern raised at Capitol Hill’s Stevens Elementary over a proposed 9:40 AM start time for the 18th and Galer school that would have left working parents scrambling for new child care solutions. Starting in the 2016/2017 school year, Garfield High School — the school most Capitol Hill public school students will attend — will begin its classes at 8:45 AM. Those tired Bulldogs currently start their sleepy mornings at 7:50 AM. The Central District’s Nova High will also feature an 8:45 AM start — only 15 minutes later than its current 8:30 AM first bell. Seattle World School on the Meany Campus on 20th Ave at Thomas will also start at 8:30 AM. Stevens, meanwhile, will begin its day at 7:55 AM — rolled back from 8:40 — while E Mercer’s Lowell Elementary kids who currently start at 9:30 will clock in at 7:40 AM. Good luck with that, parents. You can view the list of start time changes for all schools here (PDF). Wednesday, the board also approved a new framework for adjusting school assignment borders. SPS has characterized the changes to go into effect next year as relatively minor, aiming to “standardize tiebreakers and eliminate confusing (and sometimes conflicting) language.” Many parents are concerned how the new rules will lead to changes in how waitlists are handled, how students follow educational programs within the system, and “grandfathering” of students based on past attendance at a particular school. The Student Assignment Plan also deals with issues like how students get prioritized for certain special instruction programs. Students in all grades are initially assigned to a school based on where they live. Afterwards, students may apply to option schools that offer a variety of programs and instructional methods. Board votes unanimously to approve 2016-17 Student Assignment Transition Plan. This entry was posted in News, etc. and tagged schools by CHS Staff. Bookmark the permalink. I think this is a good move–I’ve never understood why school starts so early. This is fantastic news. Hopefully school districts nation wide take notice. Sometimes it ALMOST seems like the system works! I think for High Schoolers this is a good move. But for elementary kids this is ridiculous. For Lowell, this effectively kills all before school programs such as Martial Arts and BasketBall. Not to mention the struggle this is going to be for the parents.